Located at the southernmost tip of the Americas, Patagonia is one of the most mysterious and majestic places on planet Earth. With an unparalleled biodiversity and abundance of national parks, it should be on every traveler’s bucket list. 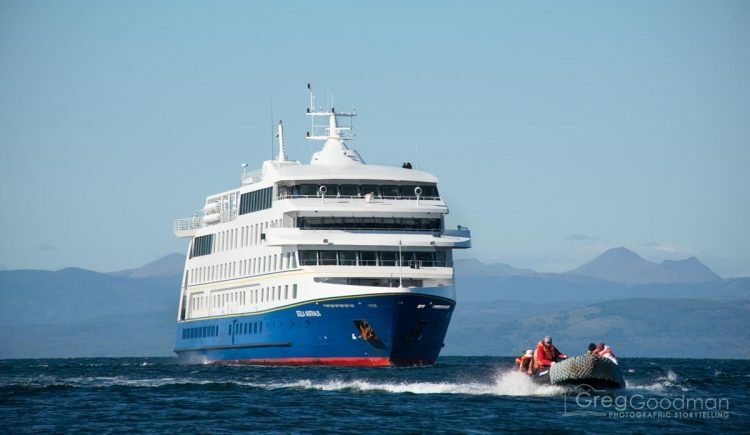 Boat tours are the best way to see Patagonia’s majestic glaciers. Look left – there’s a school of dolphins swimming alongside whales, penguins, ducks, sea lions, geese, seals and glaciers. Look up – it’s a condor soaring above a fox and alongside eagles, crows, vultures, hawks and woodpeckers. Such is life in Patagonia. Cormorants can be found all over Patagonia. Shared by Argentina and Chile, Patagonia has been inhabited by humans for nearly 15,000 years. Before its “discovery” by European explorers, thousands of indigenous tribes called the land home. Today, that number is down to a handful. Patagonia’s vast terrain includes mountains, deserts, grasslands, oceans and rivers; occupying more than one million square kilometers. It also includes the Magellan Strait; which was the only way for ships to cross the Americas before the Panama Canal was finished in 1914. There are so many snow-capped peaks in Patagonia. Torres del Paine National Park is the most popular destination in Chilean Patagonia. Many visitors opt to hike the “W Circuit;” which encompasses 36 miles and takes five days. However, for travelers (like us) without time or equipment, a one-day tour is possible. Although most of that day is spent in a van, the park’s highlights are well worth the effort. Known as Cascara Grande (Big Waterfall), the name doesn’t lie. 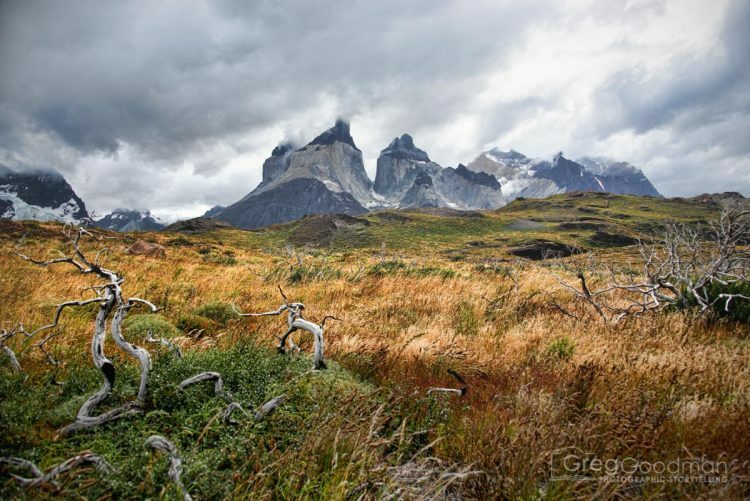 These are the Torres del Paine. Glaciers often appear blue because because the dense ice absorbs every color of the spectrum except blue. Along the beaches of Torres del Paine, you can find bits of glaciers that have floated ashore. Grey Lake looks extra grey on a grey day. Imagine a landscape of black, white, brown and cactus green. As the seasonal home to 140,000 penguins and fleets of hungry birds, that landscape is in constant motion. Could penguins BE any cuter? Seagulls fight, penguins kick up sand, parents protect their young and everyone pecks at the remains of the dead. Meanwhile, black and white heads cautiously poke out of nesting holes like Puxatony Phil looking for his shadow. To protect the animals from curious humans, Isla Magdellena has been declared a natural monument. Visitors are confined to a roped-off path; which cuts through the landscape and provides a direct route from dock to lighthouse. From the panoramic viewpoint atop the island’s windy peak, I couldn’t help but marvel at our insignificant presence on the island. We were but a small river of outstretched camera lenses among an ocean of outstretched beaks. The lighthouse on Isla Magdellena is one of the island’s few manmade objects. Who knew that penguins were such excellent sand-surfers! Located mostly in the Argentinian side of Patagonia, Tierra del Fuego National Park occupies 240 square miles of natural beauty. Depending on where you hike, you may even find yourself wandering into Chile. The internationally boundary between the two countries is marked only by a metal sculpture and a wooden sign. As for our experience, Carrie and I spent two days hiking and exploring the park – in rain and shine – and even spent the night at a dorm-style campsite. Yup. These are geese. Just like the ones you have back home. Do you have your passport? Because Chile is on the other side of this metal tower. It’s amazing how quickly the weather changes in Patagonia. When you see postcards, they often are filled with blue skies. In my opinion, that’s false advertising; as the heavens were almost exclusively painted gray during my 10 day visit. Curious about the missing sun, I asked a tour guide when I should return to Patagonia. A rare blue sky over Santa Cruz Island and Tucker’s Bay. For centuries, sailing the Magellan Strait was a treacherous sea journey. Today, it’s the easiest way to see unparalleled natural beauty: including glaciers, forests, whales, dolphins, penguins and the origins of life on earth. Treating ourselves, Carrie and I boarded the Stella Australias for a five day cruise from Chile to Argentina along the Magellan Strait. It may be the coolest thing I’ve ever done. Our cruise passed countless mountain ranges and snow-capped peaks: like these by Wulaia Bay. I have a really nice camera; but, I’m constantly in camera and lens envy of my fellow tourists in Patagonia. Even at the edge of the Americas, the South Pole is still thousands of miles away. My wife, Carrie, puts me up in an Acro Yoga pose on the Pia Glacier. Before this trip, I didn’t even know what Patagonia was. Now that I’ve been there, I feel like I’ve got unfinished photographic business with the area. All of the parks in Patagonia have separate prices for tourists/extranjeros and locals. Carrie and my original plan was to fly to Easter Island from Santiago, Chile. However, LAN Airlines – the one company that flies there – had a broken ticketing Web site. Assuming that everything would work out, we arrived in Santiago a few days before our intended departure and headed to the LAN office. “Bad news. You can fly to Easter Island tomorrow. But, there are no return tickets until next month,” the friendly travel agent told us. In a moment of “um, ok… so now what,” we quickly changed gears and made the impulsive decision to fly to Patagonia instead. 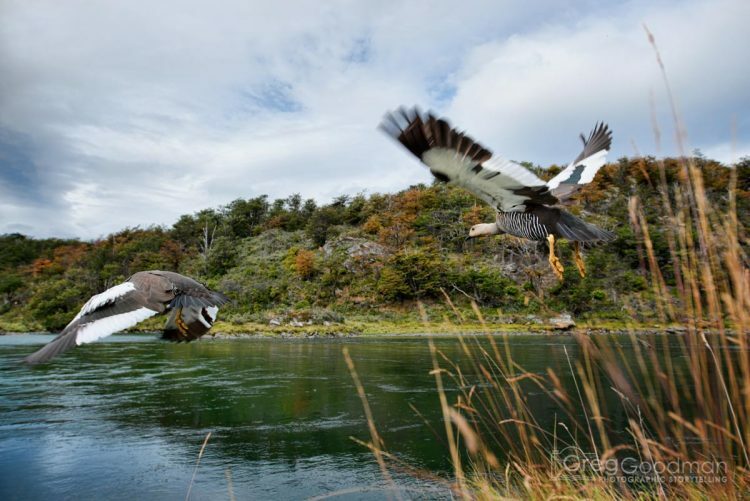 Is Patagonia your next holiday destination?